Remarkable Marketable Me: Letters to Santa & Operation Santa Claus ~ Yes Virginia there is a Santa Claus and he has many helpers! 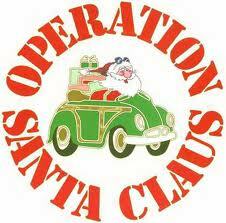 Letters to Santa & Operation Santa Claus ~ Yes Virginia there is a Santa Claus and he has many helpers! NEW YORK, Dec. 1, 2011 -- /PRNewswire-USNewswire/ -- What do the U.S. 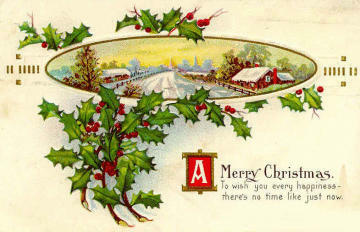 Postal Service and Santa Claus have in common? Neither rain nor snow nor heat nor gloom of night will keep them from delivering dreams this holiday season. Today marks the start of the Postal Service's annual "Letters to Santa" program, a campaign that's helped fulfill the holiday wishes of children and their families for nearly a century. "Letters to Santa" is an annual letter-writing program through which members of the public and charitable organizations respond to children's letters addressed to Santa Claus, the North Pole and other seasonal characters. To announce that the letter adoption period has begun, a ceremony was held today at New York City's Operation Santa command center at the iconic James A. Farley building with a special appearance by Santa Claus. "We are delighted to once again kick off the holiday mailing season with the start of our annual 'Letters to Santa program'," said Postmaster General Patrick R. Donahoe. "The Postal Service is gearing up for a huge mail delivery to the North Pole to help Santa and his elves get ready for the big day." The Postal Service expects to deliver more than 16.5 billion cards, letters and packages between now and New Years Eve. This year, a postmark of Santa in his sleigh being pulled by six reindeer will appear in the upper right-hand corner of holiday cards and letters. "While Santa's been making wishes come true a bit longer than the Postal Service, for more than two centuries he's relied almost exclusively on postal employees to bring him letters from girls and boys around the country and to help him deliver their presents," Donahoe said. "For nearly 100 years, the 'Letters to Santa' program has made dreams come true for those in need. This is a time to celebrate how postal employees, charitable organizations, and businesses have made a difference in the lives of children coast to coast." To learn more about the USPS "Letter to Santa" program or to view a list of participating Post Offices, visit usps.com/2011holidaynews Visit USPS on Facebook at www.facebook.com/usps to learn how USPS can help simplify your holiday shipping needs. The Postal Service receives no tax dollars for operating expenses and relies on the sale of postage, products and services to fund its operations. To contact Operation Santa at the James A. Farley Post Office in New York please call 212-330-3000. 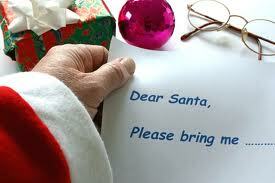 *All "Dear Santa" letters are to be picked up at a post office in person. 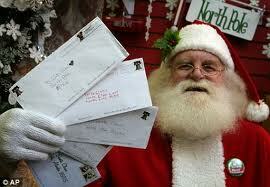 "Dear Santa" letters will no longer be sent out by mail and telephone requests are no longer accepted. *Companies and organizations can pick up letters by appointment only with your local post office if that facility has "Dear Santa" letters available. You will need to present a letter of introduction on company letterhead and a valid ID. 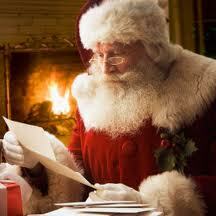 *Individuals wishing to answer "Dear Santa" letters are not required to make an appointment. 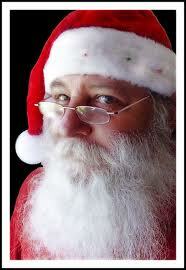 Please contact your local postmaster to see if Operation Santa Claus is available in your area at this time. *All "Dear Santa"� helpers must agree with the USPS Privacy Act Statement listed on the PS Form 6012-1 (Operation Santa Letter Adoption Individual) and PS Form 6012 (Operation Santa Letter Adoption Third Party). If you are aware of a post office in your town that is participating in Operation Santa Claus please provide us with the contact information of the person or postmaster who is in charge and we will gladly post that information here and on Santa's blog and Facebook page. Email: Webmaster We hope that you will participate in Operation Santa Claus and become a Santa's helper this year by answering one letter or multiple letters from needy children. These are children who are not asking for toys, but for articles of clothing, for school supplies, for a toothbrush or other personal care items. While toys are a lot of fun, the items on these children's "Dear Santa" list are much more basic. Please help! Please consider going to your local post office to pick up a letter from a needy child who needs warm clothing, school supplies or a gift for a parent or sibling. Toys are always nice, but their needs are much more complex. 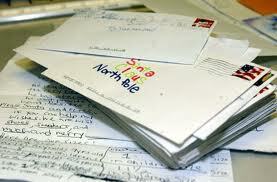 to answer more letters to needy children during the Christmas season.